Each month I shall publish a high-impact image from the Scientific Artist. 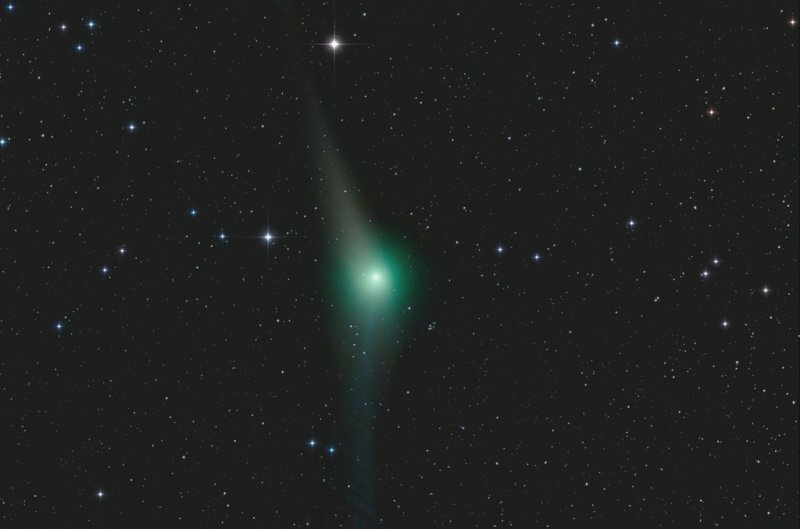 For this month I have chosen beautiful comet Garradd which was acquired at the New Forest observatory earlier this year. 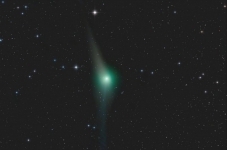 This image was captured using an 11″ Celestron Nexstar GPS Schmidt-Cassegrain reflecting telescope with a Starlight Xpress M25C one-shot colour CCD (6-Megapixels). The sub-exposures stacked to create this image were also individually processed to make an animation. In this image North is to the right. The comet has two tails, the pale (upward pointing) tail is the particle tail and the blue (downward pointing) tail is the “ion tail” which points away from the direction of the Sun.